Seattle Repertory Theatre has been presenting acclaimed theatrical productions for over 50 years. 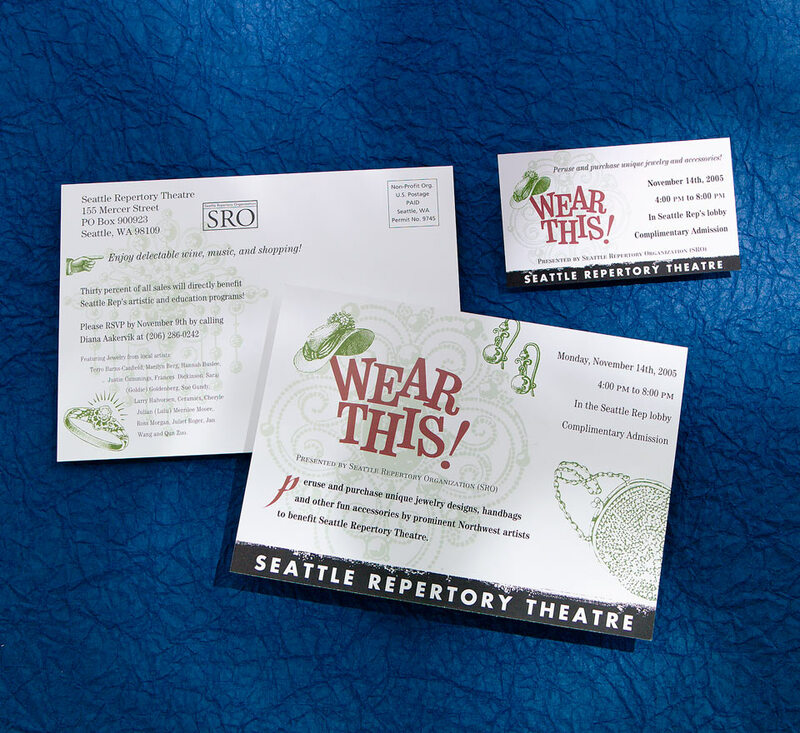 My design work for the theatre company included designing a postcard and business card for Wear This!, a jewelry and accessories sale that benefited the theatre. In addition, I designed articles and advertisements for Prologue, the theatre’s quarterly publication sent to theatre patrons and season ticket holders. The design for Wear This! uses Victorian-era line art illustrations to hint at the kinds of items sold while playful typography shows a fun side to the event. 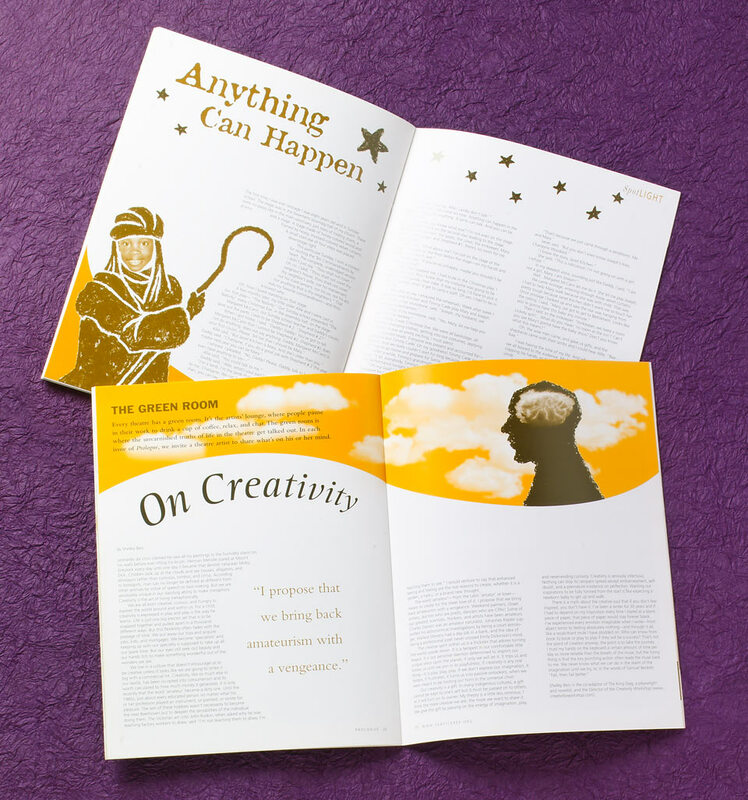 A selection of design work done for the theatre’s publication Prologue. In “On Creativity,” seeing images in clouds can result in a “brain storm” and in “Anything Can Happen,” a miracle happens when a young actor performs in The Nativity.